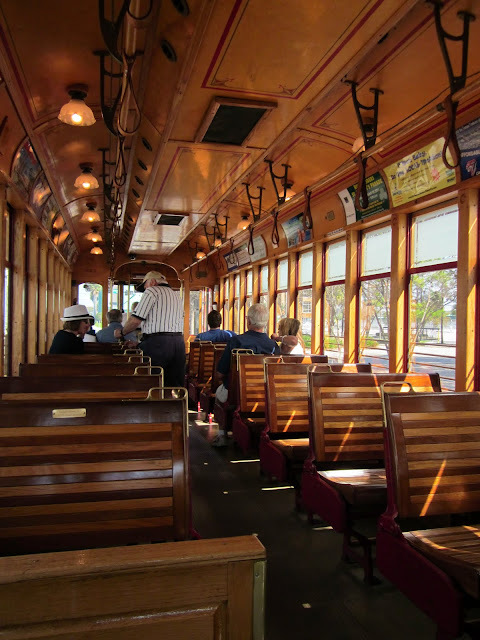 The only reason I knew that a trolley car system in Tampa existed prior to our trip was because I was being a cheapskate and devising ways to avoid the $6 parking fee at the Florida Aquarium. (We still ended up parking at the aquarium.) After chasing the arrow for a couple of hours there, we were hungry for lunch and wanted to head to Ybor City (where we ate at the awesome Bricks of Ybor). Instead of navigating the streets of Tampa ourselves, we let a trolley conductor do the work for us. Turns out, it was a relaxing way to entertain the arrow. The driver even let him toot the horn. The car itself was gorgeous--beautiful, gleaming wood and very clean. One of the best aspects of traveling with kids--introducing them to things that can't be experienced at home. And watching them smile. Read a complete synopsis of our trip to Tampa/St. Pete. Station map available here. 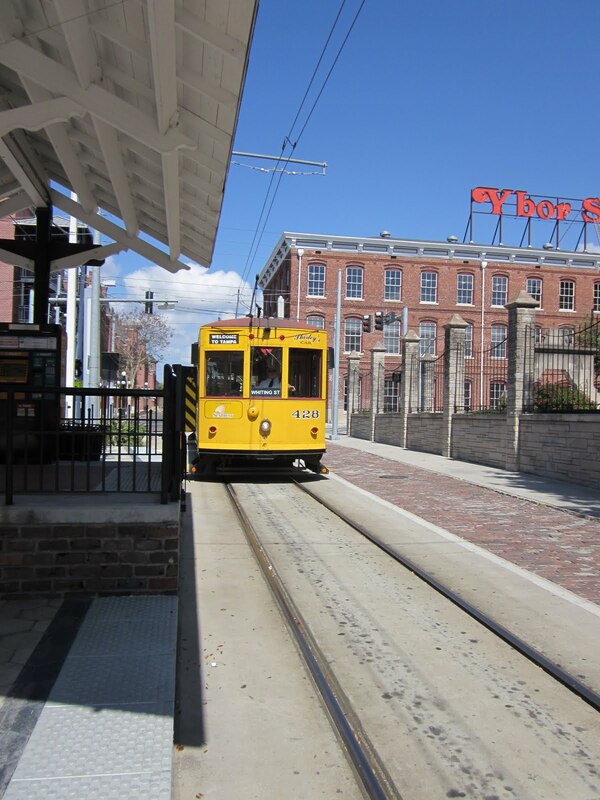 There are stations at many of Tampa's most popular attractions. Cost is $2.50 for a one-way adult ticket, but there are various price options depending on your travel plans. 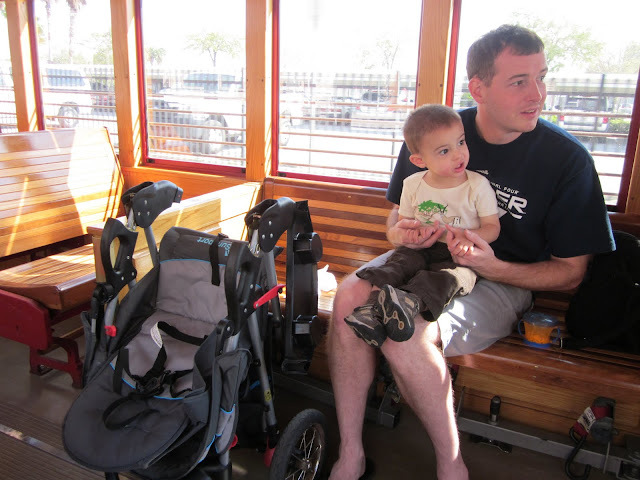 Insider Tip: The trolley car is spacious enough to stow your stroller folded up, which makes this street car a great mode of transportation when seeing the sights in Tampa with a toddler. That looks like a lot of fun! We love utilizing public transportation. It's convenient, but also fun for our daughter. Taxi, subway, trolley--it doesn't matter as long as it isn't the back of mom's car!